Babyhouz.com is managed and owned by IKR Trading. They import selected quality premium branded baby items to supply and retail worldwide with competitively lowest prices in Malaysia. 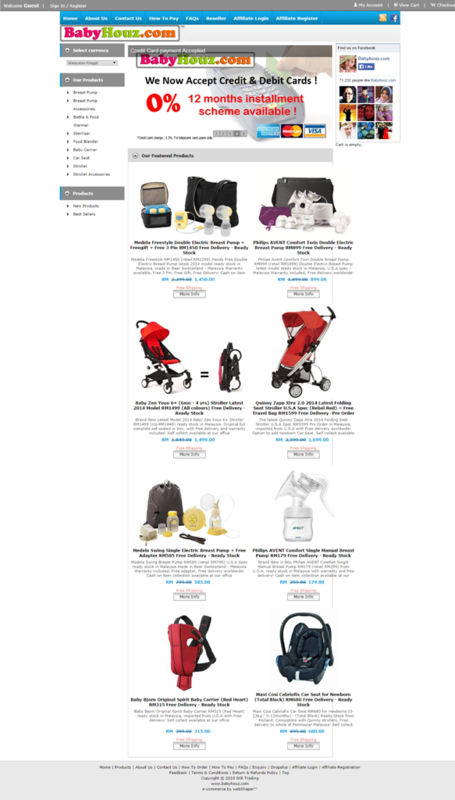 Phil & Teds Smart Stroller is suitable for newborn to 4 year olds. If you would like to be the best parent in the world and would like to have other baby accessories, look no further. Just check this website out for more baby goods. Wish to set up a baby webstore just like BabyHouz.com? Don’t forget to check out their Facebook page too for more updates on baby goods!